Motivated by our affirmation that Jesus Christ is Lord, the Department of Student Life seeks to develop students of character and competence by providing opportunities to engage in a Christ-centered community focusing on academic success, spiritual formation, interpersonal development, and physical well-being. There are many opportunities for student involvement and growth both inside and outside the classroom as well as resources to assist students throughout their university experience. This section introduces some of the Student Life areas and resources offered. View the Student Handbook at HBU.edu/StudentHandbook for more details regarding student resources, policies and procedures, and the Student Code of Conduct. For further questions or feedback contact StudentLife@HBU.edu or call 281-649-3238. 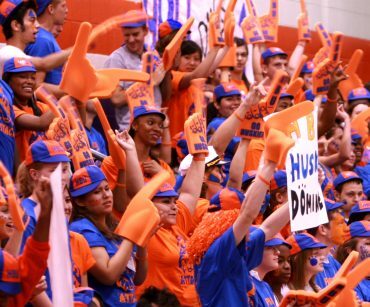 Campus Recreation provides opportunities for the HBU community to enrich their collegiate learning experience. We hope to nurture a lifelong appreciation and involvement in wellness and recreational activities. We strongly encourage our campus community to participate in Intramurals, Club Sports, Epic Adventures, CrossFit©, rock-wall climbing, and other recreational activities. In addition to our programs, the Bradshaw Fitness Center is available to our students for recreational and fitness pursuits. For additional information, visit our web page at HBU.edu/CampusRecreation or email us at CampusRec@HBU.edu. Follow us on Instagram & Facebook! The Bradshaw Fitness Center, located at 7731 Southwest Freeway, provides excellent facilities and the opportunity to develop overall physical well-being. Discover programs that help you achieve the balance of mind, body, and spirit that lead to lifelong health and wellness. All currently enrolled HBU students are members! For additional information, visit our web page at HBUfit.org or via email at FitnessCenter@HBU.edu. Follow us on Instagram, Facebook, and Google+! Counseling services, located in Hodo Residence College 102A, are available by appointment during fall and spring semesters for currently enrolled HBU students* through a partnership with Julianna Poor Memorial Counseling Center of Houston’s First Baptist Church. Hours: Monday-Thursday 2:00-6:00 pm. To schedule an appointment, call 713-335-6461 and specify counseling at HBU. Appointments are required and available on a first-come, first-serve basis. Counseling services are currently offered without charge to HBU students. For additional questions, please contact StudentLife@HBU.edu. *Counseling appointments are for actual on-site visits to the HBU counseling office and may not be done by phone. The First & Second Year Experience (FYE) works out of the Student Involvement Office within Student Life. FYE at Houston Baptist University strives to help students identify the many ways in which they can be successful personally, spiritually and academically starting during their first year of college and beyond. FYE plans programs to help students develop a good foundation for learning, as well as leadership and involvement opportunities. The FYE Office is responsible for first year programming, including Welcome Days, the Freshman Council, Peer Mentoring, Parent & Family relations and Second Year programming. The Husky family includes students’ families because they are an important part of students’ transition to college. For more information email FYE@HBU.edu. The phrase “the dust of the Rabbi” is used to depict one who is so close to the Rabbi in their everyday walk that they could not help but have their dust …aka their integrity, relationship with God, and lifestyle rub off on them. Through our intentional discipleship opportunities called Kaleo (in Greek means “to call”), we want to learn and teach God’s love through intentionally sharing with others the truth of Christ. Through these groups, our goal is to not only to focus on making our students, faculty and staff as effective as possible in their personal journey with Christ, but also to help them know Christ and experience Him in fresh ways through discipling, community, study, and integration of Christ into their leadership and everyday life. Come and join us in a Kaleo group and get ready to grow! Contact the Discipleship office above the bookstore in the Student Life area for more information. The Office of Career and Calling and its resources are available to all undergraduate and graduate students with extended hours on Mondays and Tuesdays until 6:00 pm. For further information, contact the Career and Calling by attending Drop-In Hours which are on our website; HBU.edu/CareerandCalling or by emailing at CareerandCalling@HBU.edu. Please feel free to stop by the Career Center located in the Hinton Center, Room 108. Living at home with parents/guardians (50 miles or less from the University main campus). Proof of residency is required. HBU has three residential areas. The first area is the Freshman Village which is made up of the Reuben L. Philips College (MRC), the Rebecca Bates Philips College (WRC), and the Mest wing (Mest). The MRC is for freshman male students. The WRC and Mest are for freshman female students. The second area is the Doug and Sadie Hodo Residence College, our newest living area. Hodo is intended for male and female upperclassmen. Hodo offers a variety of living arrangements. Descriptions of each building’s amenities and living arrangements are available on the Residence Life page HBU.edu/Housing. The third living area is Husky Village, an on campus apartment complex intended for male and female upperclassmen. All apartments have a kitchen and a living room. There are three styles in the apartments – two or four bedrooms, or a double occupancy efficiency. Each air-conditioned apartment houses two to four residents. The Husky Village apartments offer a clubhouse facility that includes a food option (Provision on Demand), a large screen television, a laundry room, and a study area. There is also a swimming pool, Jacuzzi, and barbecue area. All residential areas are staffed by student leaders, known as resident assistants, and student housing professionals who offer programming designed to enhance the students’ education. For information, call 281-649-3100 or stop by the front desk in the Hodo lobby. Spiritual Life seeks to foster Christian community life and worship by facilitating experiences for students, faculty, and staff in spiritual formation that will result in the integration of faith and learning. All programs, activities, and relationships offered through the Spiritual Life Office seek to provide students with opportunities to grow spiritually while attending HBU. Because of HBU’s strong commitment to spiritual development, a Community Life and Worship (CLW) graduation requirement has been developed for all students seeking an undergraduate degree. The Spiritual Life Office, located on second floor of M.D. Anderson Student Center, directs the implementation of the Community Life and Worship Program. All students (full-time and part-time) seeking an undergraduate degree are required to accrue 80 CLW credits to graduate. Students may earn credit for attending CLW events. Students are encouraged to attend a minimum of 15 events per semester until the requirement is met and to complete their Community Life and Worship Program requirement before their last semester. Transfer students will receive .75 CLW credit for each transfer hour. Students may view their CLW record online.A minimum of 50 CLW credits must be accrued from Convocation (weekly on Wednesdays and Thursdays and special Convocations during IGNITE!). Students may get no more than 30 CLW-B credits from Community Life events including small group Bible studies, prayer groups, conferences, mission trips, Service Learning Internship, and Church Leadership Internship. All students are encouraged to earn over 50 CLW-A. There is no limit to how many credits can be earned in section A. Transfer credits will be divided to reflect credit in both sections. More information about the Community Life and Worship (CLW) Program and events listed under Section A and B is available on-line at HBU.edu/CLW or in the HBU Student Handbook at HBU.edu/StudentHandbook. Questions about the CLW Program may be directed to the Spiritual Life Office, at SpiritualLife@HBU.edu. Spiritual Life and Baptist Student Ministry offices are located above the bookstore. Baptist Student Ministry (BSM) at HBU provides opportunities for all students to know Jesus and make Him known through encouraging active participants in their daily faith journey. The BSM provides opportunities for students to engage faith practices through weekly Bible studies for both freshman (Journey) and upperclassmen (Voyage) as well as various campus outreaches throughout the week. The heart of the BSM is missional, and therefore BSM sponsors and promotes mission trips in both the spring and fall semester. HBU expects students to adhere to high standards of personal conduct consistent with the Christian mission of the University. In order to achieve its purpose, HBU expects individual members of the University community to accept responsibility for their personal conduct. 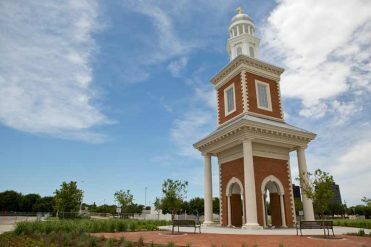 As members of the campus community who have chosen to be a part of HBU, students are expected to know and abide by all guidelines, policies, and procedures set forth by HBU. All local, state, and federal laws are supported by the institution, and violators of these laws may be disciplined by civil authorities and/or University officials. The Student Code of Conduct, as contained in the HBU Student Handbook (HBU.edu/StudentHandbook) outlines the minimum-acceptable levels of conduct expected of every student. Classroom Behavior Expectations: The classroom is under the authority of the instructor who is responsible to the University for his or her course. Students are full partners in fostering a classroom environment which is conducive to learning. In order to assure that all students have the opportunity to gain from the time spent in class, students are expected to demonstrate civil behavior in the classroom. Unless otherwise approved by the instructor, students are prohibited from engaging in any form of behavior that detracts from the learning experience of fellow students. Inappropriate behavior in the classroom may result in a request for the offending student to leave the classroom. Classroom behaviors that disturb the teaching-learning experiences include the following behaviors: activated cellular phone or other device, demands for special treatment, frequent episodes of leaving and then returning to class, excessive tardiness, leaving class early, making offensive remarks or disrespectful comments or gestures to the teacher or other students, missing deadlines, prolonged chattering, reading newspapers during class, sleeping, arriving late to class, dominating discussions, shuffling backpacks or notebooks, disruption of group work, and overt inattentiveness. Matters related to academic integrity are described elsewhere in this Catalog. Student health insurance is not offered through HBU. Students wishing to purchase student health insurance must enroll directly with the insurance provider of their choice. 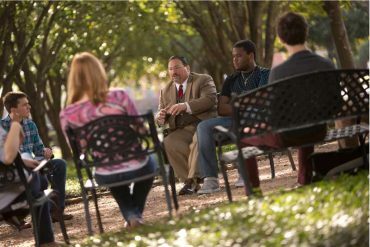 Several provider options are listed at HBU.edu/StudentHealthInsurance. Other questions may be directed to StudentLife@HBU.edu. NOTE: All international students are required to have health insurance and can contact the Office of International Student Services for a list of approved international student insurance plan providers. The purpose of HBU Student Health Services is to promote the wellness of the campus community. Services are available for currently enrolled students during the fall and spring semesters when classes are in session. Clinic hours and fees for services are posted on the HBU website, at HBU.edu/StudentHealth, and outside the clinic office, located in Hodo Residence College 102C. Contact 281-649-3643 or StudentHealth@HBU.edu. Being engaged in your campus ensures a successful and rewarding college experience. Student Involvement offers many ways to be involved. The Student Involvement Office is located in Brown Administrative Complex, office 274. Student organizations offer a place for students to connect with others, get involved, and develop personally to make a difference in the campus community. Categories include governing, honor, professional, service, social, religious, cultural, and special interest. HBU offers many student organizations to choose from, but if there is a club or organization you want to start, we encourage you to do so! For more information about HBU student organizations contact Student Life at 281-649-3124 or visit HBU.edu/StudentOrgs. The Student Programming Board (SPB) is responsible for planning and implementing campus events under the leadership of the Office of Student Involvement. SPB is a group of student leaders that commits to serving the HBU student body and enhancing the college experience by providing entertaining and educational campus events. Some of their events include: Homecoming, Husky Revue, Campus Luncheons, Spring Fling and more. For more information, visit HBU.edu/SPB, call 281-649-3124, or stop by Brown 274. The “Constitution of the Student Association of HBU” was adopted October 18, 1963 by the first student body. It became operative in 1966-67 with all four undergraduate classes organized. Student government at HBU is exercised through the Student Association under the leadership of the Office of Student Life; all activities are subject to the approval of that office. All full-time undergraduate students (12 semester hours or more) become members of this Association upon registering. The legislative body is the Student Government Association (SGA), which is composed of representative students from all Colleges and Schools of the University and from each of the four (4) undergraduate classes. Student officers serve as the spokespersons for students and seek “to foster the recognition of privileges and responsibilities of the students of the university community.” The SGA office can be found in Brown 274. Involvement in Greek Life enhances personal development by committing to ideals of scholarship, leadership and service. Affiliation with a fraternity or sorority is about building relationships through social and philanthropic activities. Members learn to interact with people of all ages, backgrounds, and interests as they share their college experience with Greek brothers and sisters. Greek Life also provides a network of support and friendships that enrich students throughout their college years and beyond. For more information, stop by the Greek Life office in the M. D. Anderson Student Center, Brown 274, or go to HBU.edu/GreekLife. With Houston being a vast metropolitan city, supporting our students who live off campus is vital for their success and retention. The Commuter Life program is committed to making students feel they have a home away from home, as well as feeling a part of the commuter community. 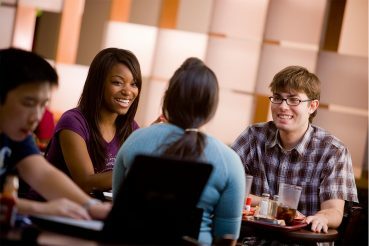 The HBU Commuter Collegium is a space specifically dedicated to the commuter population. It is located on the second floor of M.D. Anderson Student Center, Brown 271, and is equipped with some of the comforts of home. Read more at HBU.edu/CommuterLife. Students at HBU are encouraged to become people of influence who through their convictions, commitments, attitudes, and actions seek to better the circumstances of others. Student Leadership at HBU offers a variety of experiences to best serve the needs of a diverse community. Student leadership roles are available in Residence Life, Student Involvement, Student Government, Campus Recreation, Greek Life, Student Organizations, Spiritual Life, Commuter Life, Student Success, Admissions, and University Events and Conferences. Through Student Leadership students have opportunities to gain new skills, refine talents, serve others, and better understand God’s calling. For information, call 281-649-3124, stop by the Student Involvement office in M. D. Anderson Student Center, Brown 274, or visit HBU.edu/StudentLeadership. The First Year Success team’s mission is to promote holistic student development and persistence both within and beyond the classroom by providing resources and support systems for freshmen students at Houston Baptist University. Our goal is to promote student engagement and persistence through academically advising students, helping students effectively utilize campus resources, and providing one-on-one personal, academic, and social coaching. In addition, First Year Success Coaches host several events such as “Lunch & Learn” an educational workshop series highlighting a variety of topics pertinent to students’ development and overall success or “Coffee with Coaches” one of several free get to know your coaches events. For more information please email StudentSuccess@HBU.edu. The mission of TRIO Student Support Services (SSS) at Houston Baptist University is to help participants succeed holistically by empowering them to expand their horizons. If you identify as one out of the three and are interested, please fill out and turn in an application to the TRIO SSS office, located in Moody 129. Not sure if you qualify? Contact TRIO at TRIO@HBU.edu, 281-649-3198, or HBU.edu/TRIO.